Along with the "Client-Oriented" enterprise philosophy, a rigorous high-quality control process, superior production products along with a robust R&D group, we constantly deliver premium quality products, exceptional solutions and aggressive costs for Hammer Crusher Design,Uses of Hammer Mill,Hammer Mill Working Principle. Keen cooperation and Development" are our plans. We've been here anticipating good friends all around the globe! Hammer crusher is a crusher for crushing 600-1800 mm material to 25 mm or less. Hammer crusher is suitable for crushing medium hardness materials such as limestone, slag, coke and coal in cement, chemical, electric power and metallurgical industries. The hammer crusher of Henan Hongke Heavy Machinery Co., ltd is divided into single stage hammer crusher, high efficiency hammer crusher, sand crusher, vertical shaft hammer crusher, reversible hammer crusher, ring hammer crusher and so on. Hammer crusher mainly depends on impact energy to complete crushing material operation. When the hammer crusher is working, the motor drives the rotor to rotate at high speed, and the material enters the crusher cavity evenly. The hammer head of the high speed rotary impact, shearing tearing material causes the material to be broken. At the same time, the gravity action of the material itself causes the material to rush from the high speed rotating hammer to the baffle inside the frame, the sieve strip, the material resistance larger than the sieve hole is left on the sieve plate and continues to be hit and ground by the hammer. Until being broken to the required discharge size , the material is discharged through the sieve plate out of the machine. (1) Working hammer, casting with new technology, wear-resistant and impact-resistant. (2) It can adjust the granularity according to the customer request. (3) The hammer breaks the seal of the airframe and solves the dust pollution and ash leakage in the crushing workshop. (4) The whole design has the advantages of beautiful design, compact structure, less easily damaged parts, convenient maintenance and so on. It is an upgraded product. (5) Compact structure, beautiful appearance, good wear resistance and convenient maintenance. From the design, production, installation and debugging, we can provide training and guidance for the buyer's workers, such as send engineers to direct the constrution site. We also provide one-year maintenance for the machine. 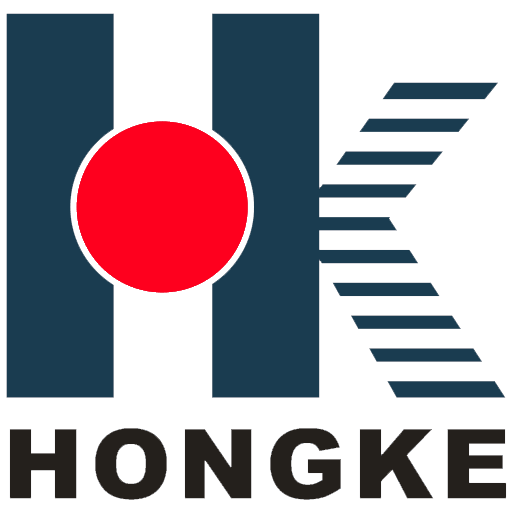 Henan Hongke Heavy Machinery Co., Ltd. is located in Henan Province which is the cultural base of the central area of China. We are a mining machinery manufacturing enterprise that integrates scientific research, production and marketing. We are a high-tech enterprise that specializes in the research and production of rotary kilns, dryers, crushers and so on, such as new type of lime rotary kiln, ceramsite kiln, zinc oxide rotary kiln, sludge rotary kiln, chemical rotary kiln, metallurgical rotary kiln, Raymond mill, ultra-fine mill, large and medium dryer, ball mill, sand mill, stone production line, mineral processing equipment and so on. From the design, production, installation and debugging, we provide you the entire tracking service.We adhere to the aim of high quality to survive, good credibility to make development, and sincerely look forward to cooperating with you! We're going to commit ourselves to giving our esteemed customers along with the most enthusiastically considerate providers for PC Series of Hammer Crusher for Sale. The product will supply to all over the world, such as: Mauritania,Papua New Guinea,Kazakhstan. Our company sticks to the principle of "high quality reasonable price and timely delivery". We sincerely hope to establish good cooperative relationships with our new and old business partners from all parts of the world. We hope to work with you and serve you with our excellent products and services. Welcome to join us!